When it comes to business success you have to admire Warren Buffett. Whether you agree with his politics or not, you have to admit he is an extremely successful businessman. He is now entering his 47th year as the CEO of Berkshire Hathaway, one of the most trusted and profitable conglomerate of the modern business world. When Warren Buffett speaks, people pay attention. 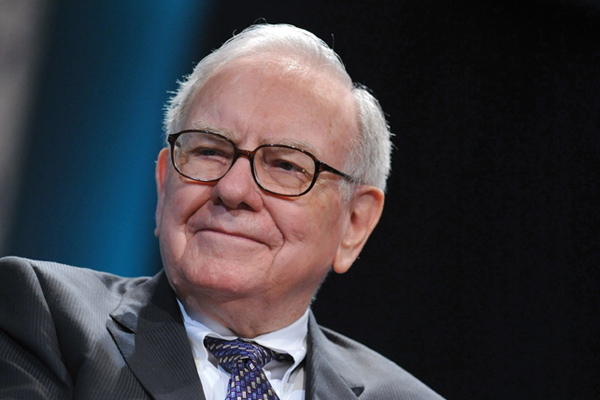 Here are some of the valuable insights that Buffett uses in his business practices every day. Can you adapt them for your small business? Although Buffett has made a reputation as a master of acquisition he is also seen as an enormous motivator. He understands that a corporate culture is built on the success of managers at all levels. By acknowledging their successes you can foster a strong sense of loyalty and dedication that is key for your own business’s profitability. In a recent shareholder letter Buffet wrote: "[We] possess a cadre of truly skilled managers who have an unusual commitment to their own operations and to Berkshire. At Berkshire, managers can focus on running their businesses: They are not subjected to meetings at headquarters nor financing worries nor Wall Street harassment. They simply get a letter from me every two years and call me when they wish. Our trust is in people rather than process. A 'hire well, manage little' code suits both them and me." You can’t build the kind of financial empire that Buffet has built without taking risk. However, that doesn’t mean entering into a contract or decision without being informed. Don’t act on “gut checks” alone. Instead, get as much information about every vendor, contractor or company you intend to partner up in business with. Once you make that decision, stick to it and let it ride out. Following a business plan towards success is about the long game. No matter how big or small your business might be you’re not in this alone. Even if you’re currently the sole operator that doesn’t mean you shouldn’t seek out advice from trusted allies outside of your company. These loyal advisors could be considered part of your management team. The key thing to take from Buffett is that you’re only as strong as the people you surround yourself with. Who is on your team? "When I took control of Berkshire in 1965, I didn't exploit this advantage," Buffett wrote in his shareholder letter last year. "Berkshire was then only in textiles, where it had in the previous decade lost significant money. The dumbest thing I could have done was to pursue 'opportunities' to improve and expand the existing textile operation -- so for years that's exactly what I did. And then, in a final burst of brilliance, I went out and bought another textile company. Aaaaaaargh! Eventually I came to my senses, heading first into insurance and then into other industries." What have you learned from Warren Buffett?